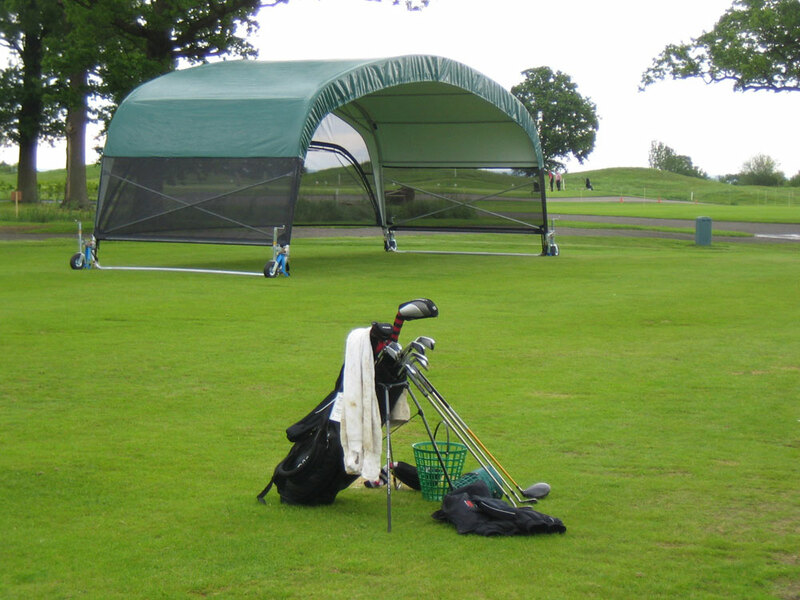 The two bay DryRainge provides the ideal space for an instructor and student to work away from the rest of the driving range. 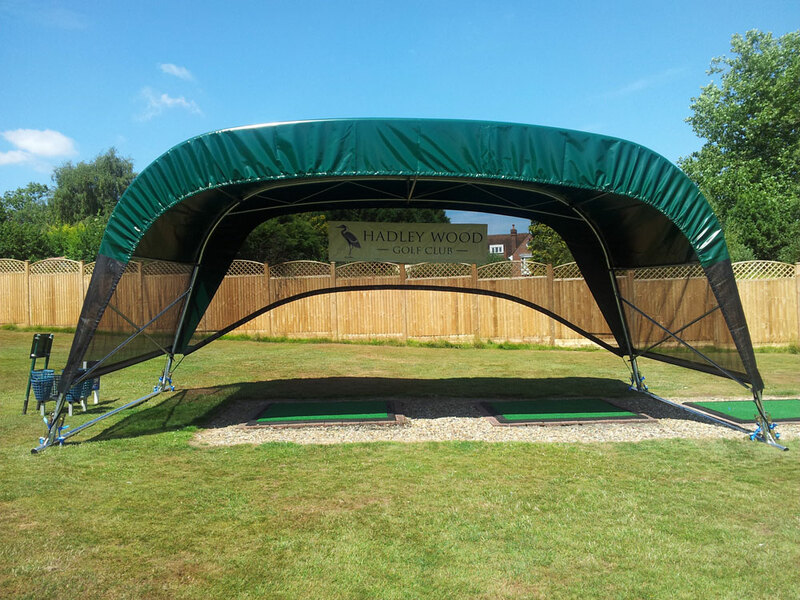 The cover provides a semi- private area which protects users from the elements, provides an exclusive environment and helps reduce distractions, meaning your pupil feels they have your un-divided attention. 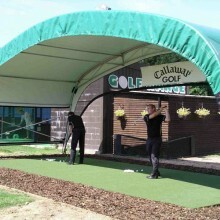 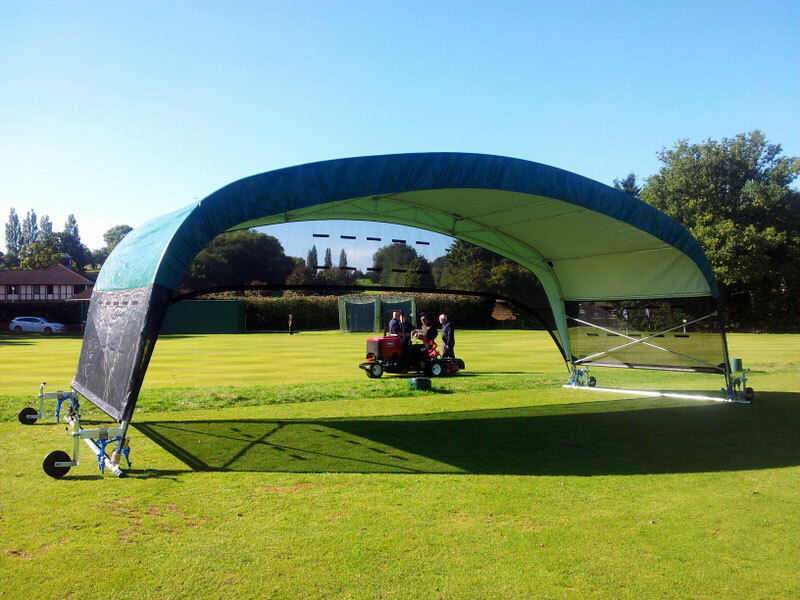 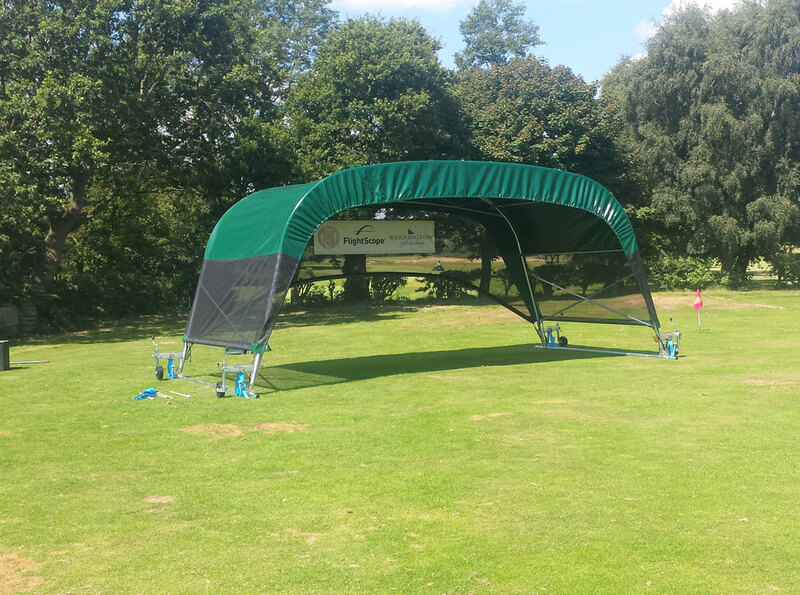 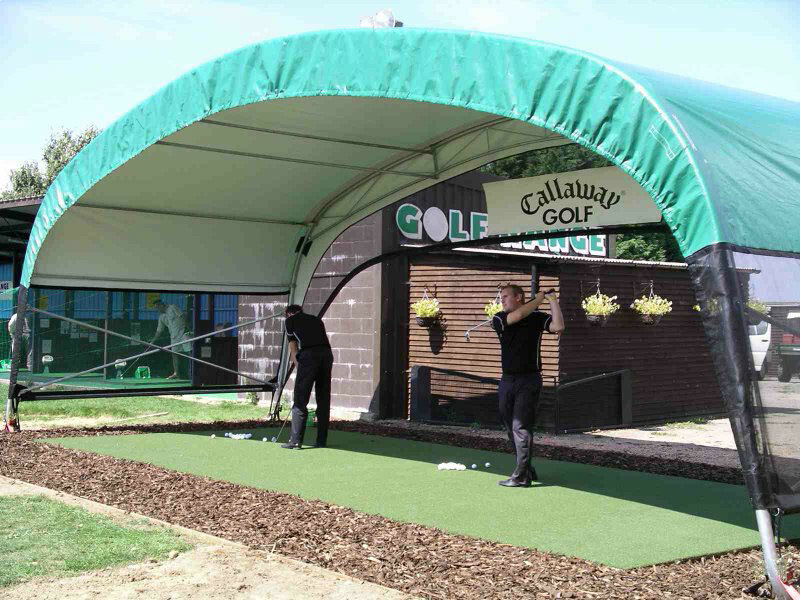 The 2 bay DryRainge enables members to get away from the main driving range and work on alternative shots in the protected environment of an enclosed shelter. 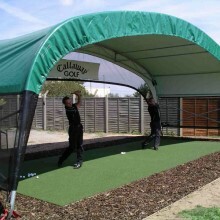 The ability to transport the DryRainge could also provide a new opportunity for instructors to give a more focused lesson, such as chipping to a given pin. 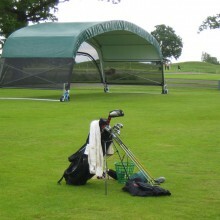 This varied and focused approach to lessons can boost client’s game and keep them coming back for more. 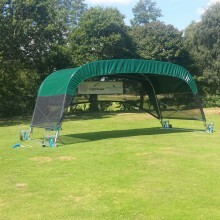 This edition of DryRainge is 7.6m wide x 3.6m deep x 3.3m high (25ft x 12ft x 11ft), providing plenty of space to practice swings for the instructor to work around enabling them to analysis the player from all angles. 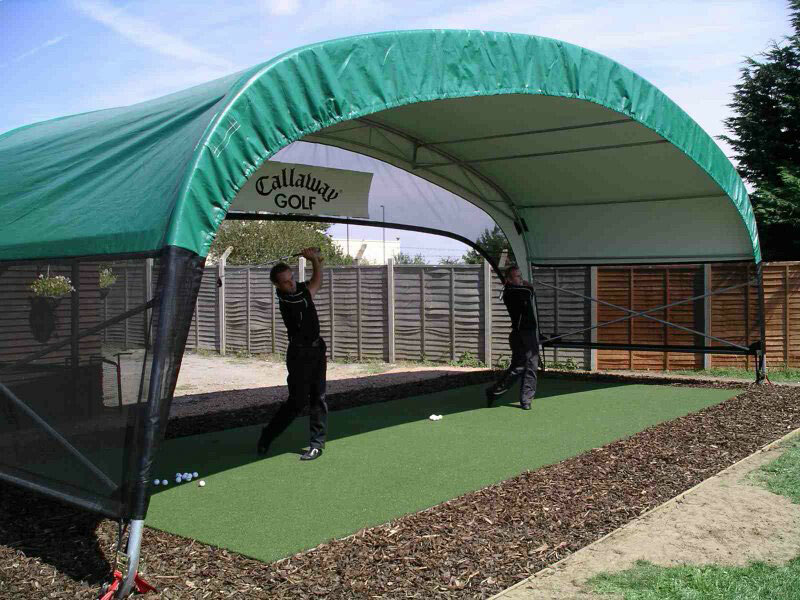 The Two Bay DryRainge can be personalised with the addition of a printed banner featuring the name of your club or sponsor. 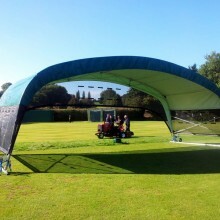 Product can also be fitted with wheels to enable movement around the training area.